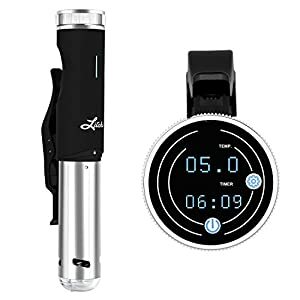 Tags: circulator, cooker machine, cooker system, gourmet cooker, Gourmia GSV140, precision cooker, Precision Immersion Circulator, sous vide, sous vide amazon, sous vide cooker machine, sous vide cooking, sous vide machine, sous vide precision cooker, thermal cooking. 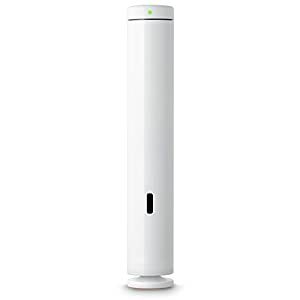 Gourmia GSV140 Digital Sous vide Pod will prepare a better steak than a five-star steakhouse, Just set the dial and relax. Gourmia makes it super simple to cook like a pro, no culinary experience necessary. 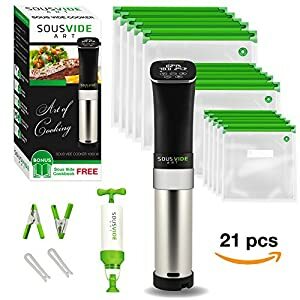 Easily clips to most pots and containers up to 10 gallons, creating a classic sous vide system with utensils you already own. Get consistent and delicious results with sous vide steak, chicken, seafood and eggs. 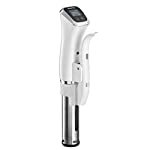 With a new design the Gourmia GSV 140 takes Sous Vide cooking to the next level. Come home to a superbly cooked meal, for a fraction of the cost every night. Second Generation, superior quality compact alternative to self-contained sous vide water ovens. 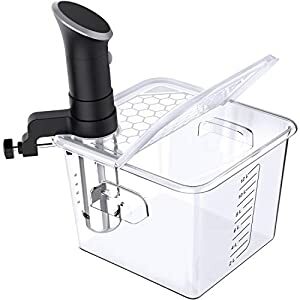 Easily clips to most pots and containers up to 10 gallons, creating a classic sous vide system for easy use with utensils you already own. 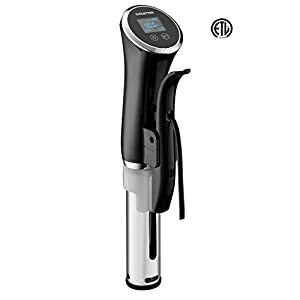 The ingenuity of sous vide allows you to cook high-end restaurant quality food with the touch of a button. Just set the dial and relax while the Gourmia GSV140 prepares a better steak than a five-star steakhouse. Leave meat, poultry and fish to simmer, no culinary experience necessary. 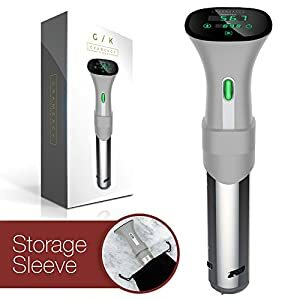 Enjoy a hassle free sous vide experience with the new user friendly bright digital display and a variety of colors to choose from. 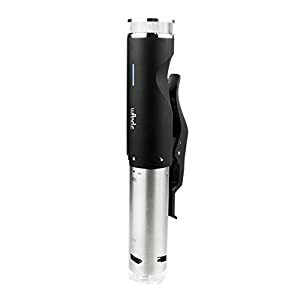 the GSV140 “Quiet Run” motor is the most powerful Sous Vide Pod on the market. With a secure stand up design and solid construction the GSV140 was built to last. Exclusive Active Control Thermostat incorporates precision temperature settings within +/- 0.01 degree. 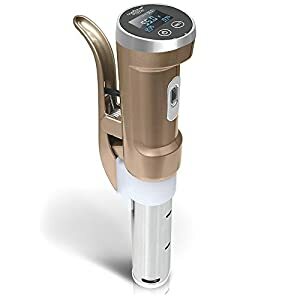 The GSV140 Pod pumps up to 2.1 GPM (Gallons Per Minute), circulating heated water to an exact degree for complete accuracy and a perfect result each time. 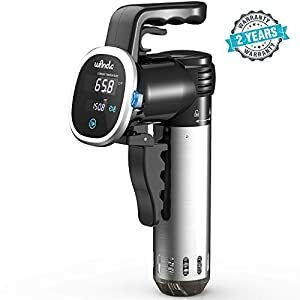 Get started on your journey toward a healthier, more convenient and tastier lifestyle with Sous Vide recipes by bestselling Modernist Chef Jason Logsdon. 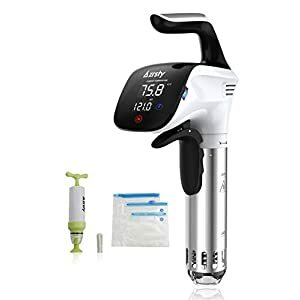 Home cooks can now easily prepare sous vide steak, chicken, seafood and eggs for a fraction of the cost of going to a restaurant.